And no, despite his confusing, ever-growing waistline suggesting the contrary, he is not carrying the child. 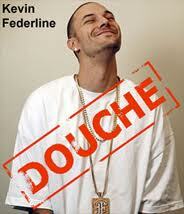 Federline is expecting his FIFTH child with girlfriend Victoria Prince, who is 5 months pregnant. He already has two children with Shar Jackson and two children with Britney Spears. I guess the guy had to contribute something to the world other than PoPoZao, but you know Britney’s gonna end up paying for this some way or another.